MK Ben-Ari does not regret ripping Christian Bible, and criticizes Rivlin and the ADL for their silence on similar issues. MK Michael Ben-Ari (Ichud Leumi) is not sorry for ripping a copy of the Christian Bible that was sent to his office. Ben-Ari released a statement Wednesday saying he stands by his act. He criticized Knesset speaker Reuven Rivlin for criticizing him. Rivlin was quiet when the Christian Bible was sent to MKs, he noted. 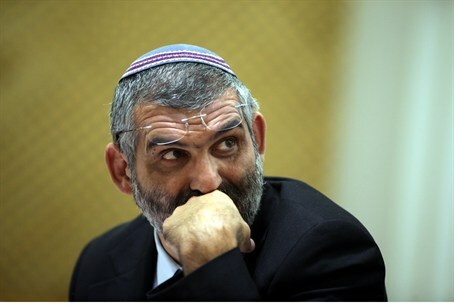 “The Knesset head’s obsequiousness to the missionaries crosses all the lines,” he accused. “There is no doubt that my reaction was in place,” he added.